Recommended by Lindsay & Matthew: "Personal, powerful, sincere and visionary"
Read our previous post on Between the World and Me here. Recommended by Jannaya: "Larson provides a well-researched, narrative account of the sinking of the Lusitania in 1915 and events surrounding it. I especially enjoyed his incorporation of vivid character descriptions, eyewitness accounts, and a social history perspective." Recommended by Elizabeth: "It's absolutely hilarious." Read our previous post on Furiously Happy here. 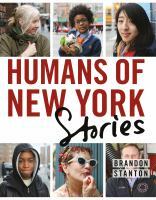 Recommended by Alison F: "This book of photographic microstories serves as a great reminder that we all have unique backstories, and we all share a common humanity." Recommended by Joanne: "Birds are changing Suburbia. Suburbia is changing birds." Recommended by Julia: "A well written memoir about food, family, failure and love. This book is full of Morris’ quirky humour and delicious recipes. ​ It is honest, thoughtful, charming and would make a good book club read." Recommended by Amy: "As Steinem chronicles her life of journeys, conferences, and speaking engagements, what emerges is more than a memoir: it's a history of modern feminism, as told by one of its most active supporters." Recommended by Lindsay: "On making magic in your life and how to rid yourself of the excuses holding you back and get to work." Recommended by Emma: "This book is for anyone who's had the courage to try and fail and get back up again." Recommended by Emma: "An honest and refreshing wrestling with faith and the church." 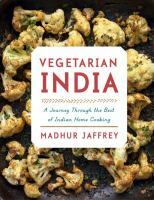 Recommended by Chloe: "All her books on Indian cooking are great, but this one is the one I've been waiting for because it is completely filled with recipes that I would like to make."